Some people are hailing the arrival of what I would call the ‘daring buds of Emery’, as pundits and fans expect the new manager to blood youngsters this season. 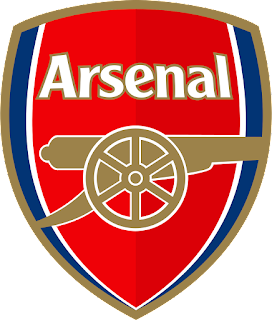 The evidence of this is seen in how teenage sensation Matteo Guendouzi continued to run the show in the latest friendly, with Arsenal putting an even more youthful PSG to the sword. Despite the emphatic 5-1 scoreline, the margin flattered the Gunners somewhat, but much could be made of the maturity of some of the youthful Gunners’ play. Guendouzi is only 19, but plays like an experienced professional. Bernd Leno gives reassurance in goal although, at 26, he is comparatively young for a keeper. Shkodran Mustafi is the same age, so still hasn’t reached his peak, while Hector Bellerin is just 23. Of those first-team ‘shoo-ins’, only Bellerin is somewhat ‘homegrown’. Therefore, to say a revolution of George Graham-esque proportions is happening at the club is somewhat premature. However, hard work on the training ground, another aspect of football associated with Graham, appears to be paying off. Nevertheless, despite all the talk of how much has changed at Arsenal, the same old defensive errors threatened to undo all the good work produced offensively. Sead Kolasinac is one of the few players, so far, who looks out of sorts with the new regime. Maybe he is struggling to cope with the new fitness regime mentioned by Bellerin, who has gone public on how Unai Emery is putting the squad through their paces in a way not seen under Arsene Wenger. Kolasinac’s comparative lack of fitness and pace was telling, as the Bosnian’s clumsy challenge led to a penalty being conceded. Meanwhile, skipper for the day Mesut Ozil, despite his early well-taken goal, was also struggling to put in a decent shift. The same goes for Henrik Mikhitaryan, who makes token efforts to win the ball back when the opponents have it. Going forward both players offer a lot of flair, but I’m not sure you can have two players with this kind of attitude in one team, even if Guendouzi covers enough ground to make up for one of them, at least. I think you can get away with playing both Ozil and Mikhitaryan in friendlies, but not in Premier League games, where overall work rate is a factor. Last season, Spurs covered a lot more ground than Arsenal on average, and you’d like to think that Emery is going to address this issue. A good example of working hard for the cause is Mohamed Elneny, who like Guendouzi, tries to make himself available for team-mates. The central midfield pairing of those two seemed a case of putting together like with like, but playing both of them was an experiment that worked, as they seemed to be on the same wavelength. Meanwhile, working out the best central defensive pairing is a much harder task. Shkrodan Mustafi seems determined to claim one of the starting berths, and then it’s just a question of who plays alongside him. The 22-year-old Rob Holding might get the nod, as he’s been generally impressive in the pre-season, capping his performance with a looping, headed goal. On the subject of goals, upfront the Jason Derulo lookalike, Alexandre Lacazette, continued to impress with two well-taken goals. The 19-year-old Eddie Nketiah added a fifth to put the game out of sight for PSG. Based on the friendly performances so far and on what we saw at the tail end of last season, I’d be tempted to start the following team in the Premier League: Leno; Bellerin, Mustafi, Holding, Monreal; Elneny; Ramsey, Guendouzi, Ozil, Lacazette; Aubemayang (4-1-4-1). Looking at the team, you can see the need of a right winger. Ramsey can play there, but it’s not an ideal solution, which is why I’d sell him for around £30m to Chelsea, if needs be. Then the money could be used to bring in someone, who actually relishes the chance to play wide right. I really can’t see Ramsey staying, as he won’t be happy being moved out to the right. Then again, perhaps Emery won’t do that, but Reiss Nelson doesn’t look ready to start on the right wing yet in the Premier League. Some people may be questioning why I’ve left the 20-year-old Ainsley Maitland-Niles out. The truth is I’m not sure of his best position, so I’d rather have such versatility on the bench. For all that’s been made of the current crop of homegrown players, I’m much more impressed with some of the players that have been brought in since Sven Mislintat arrived. Those expecting a similar revolution at the club as that experienced under George Graham are set to be disappointed. With the possible exception of the prodigious talent that is 18-year-old Emile Smith Rowe, there does not seem to be many budding Paul Mersons, Michael Thomases, David Rocastles, Paul Davises, Ray Parlours and Tony Adamses at the club right now unfortunately. That’s why Arsenal need to buy their way to the title. All I am saying is you don’t necessarily have to give homegrown youth a chance, if you want to win trophies.